From the classic boot to the iconic chukka, we go from one stylish silhouette to another for this week’s hands-on feature. 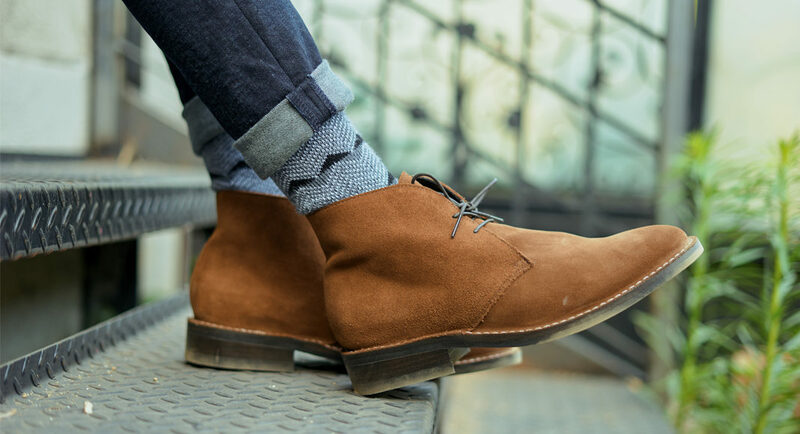 Thursday Boots’ Scout Chukka is offered in a number of color and material options including cognac suede, a Summer-friendly design that gives you a casual yet sophisticated look. Scroll down to read our full breakdown on the Scout as we go hands-on with one of the brand’s latest releases. Photography: Sean Martin For The Primary Mag. As simple as a chukka can be, there’s just something special about the Scout in this variation. The buttery smooth WeatherSafeTM cognac brown suede is a refreshing change of pace from the usual leather choices. This shade of brown appears slightly darker in person. Furthermore, the Scout is paired perfectly with a black studded rubber outsole and round wax laces, a combination that will look good with just about any outfit. Outside of the obvious details, Thursday Boots also used stitchout construction on the Scout. This type of construction makes the boots Water-resistant and re-soleable in the case of heavy wear. 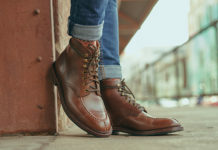 As with most boots by this brand, you can expect extra attention paid to not only detail but comfort as well. As they suggested, we sized a half size down from what we wear in sneakers, which would be our true boot size. 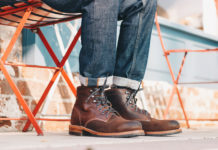 Going with our true boot size, we found the Scout to be extremely comfortable thanks to a number of key details. Full glove leather lines the interior, while a cork-bed midsole offers all-day comfort as it forms to your feet over time. Lastly, Thursday Boots has added a studded rubber outsole for extra grip across all surfaces. Some people are against a rubber outsole as it might take away from the look and feel of the chukka, but we think it really works in this case. It’s hard to find any real faults in the Scout. We’re big fans of the color of suede and love it as an alternative to a standard pair of leather boots. 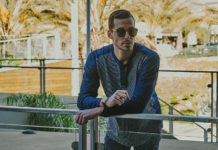 It pairs well with blue or black denim and isn’t overly casual like some other styles we’ve seen. It’s extremely comfortable and will hold up over years of wear. For less than $150, you’re investing in a well-made pair of chukkas and that won’t disappoint. Get your pair by clicking here.